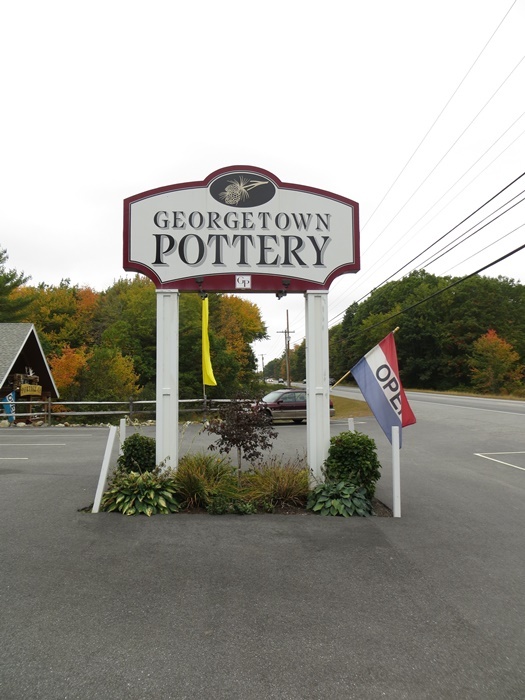 While traveling from Virginia to Maine to visit Acadia National Park last week, I was running along Route 1 North in Maine and passed a sign for Georgetown Pottery. My subconscious said, “no way” but after a mile or so, I looked at my wife and said, “I have to know”. 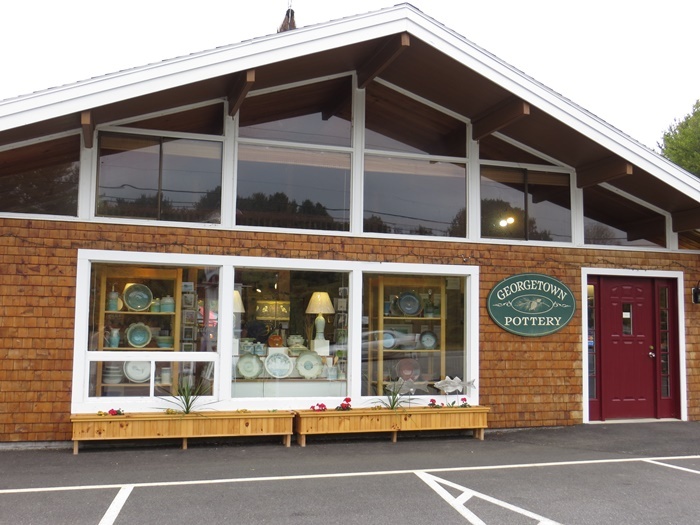 A U-turn revealed that this was a for real Georgetown Pottery store. While this was a satellite store, they had an amazing selection of their products. I did not get a scuttle (have their styles that were in stock) but I did grab a coffee mug. We also purchased a Butter Bell in Persimmon and Hamada. 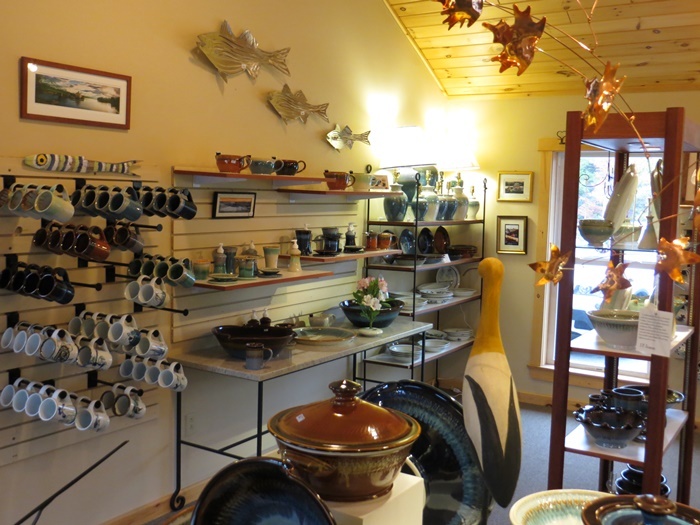 I continue to be amazed at the quality of their glazing and product quality. 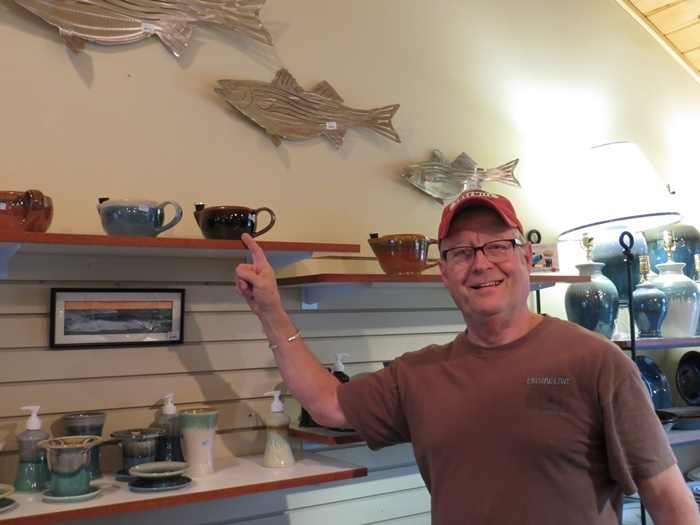 After all these years of purchasing Georgetown Pottery products, it was good to shop at an actual store. I am attaching a few pictures. It is really a you have to see to believe case. nice, now isn't kramperts somewhere in those woods? I'd have stopped. GPS that destination. Very nice thanks for the pic's.I have 2 pieces by them & really like both a lot. Nice writeup. Appreciate you sharing. I have one of GP's seconds - the smaller scuttle and love it. It took me about 5 minutes to figure out why it was a second. A pinhead size imperfection under the handle. Great product! Nice store, nice products. I had in the past one of theirs scuttles. Real nice quality.